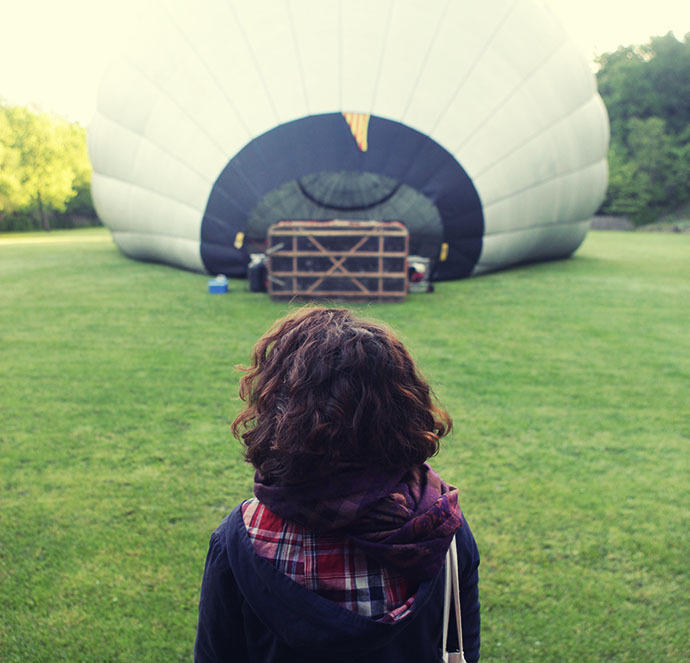 The day we went in a hot air balloon. Oh my. 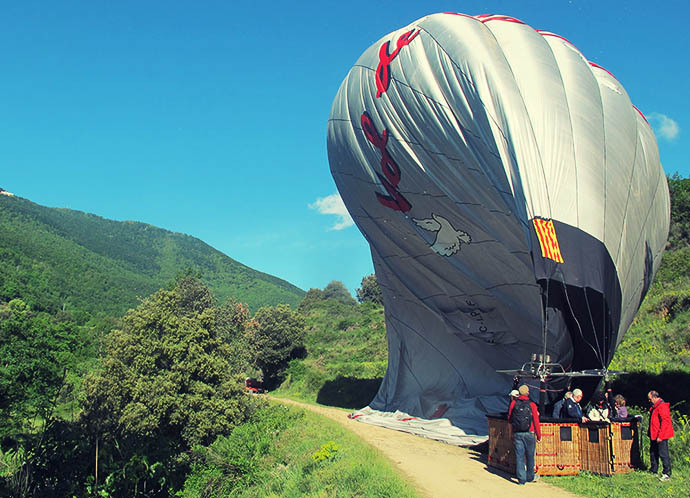 With a name and design like ours, it was about time we went up in a hot air balloon, and we were delighted when Vol de Coloms invited us to do just that on a recent trip to Catalonia. Me oh my, what a day. 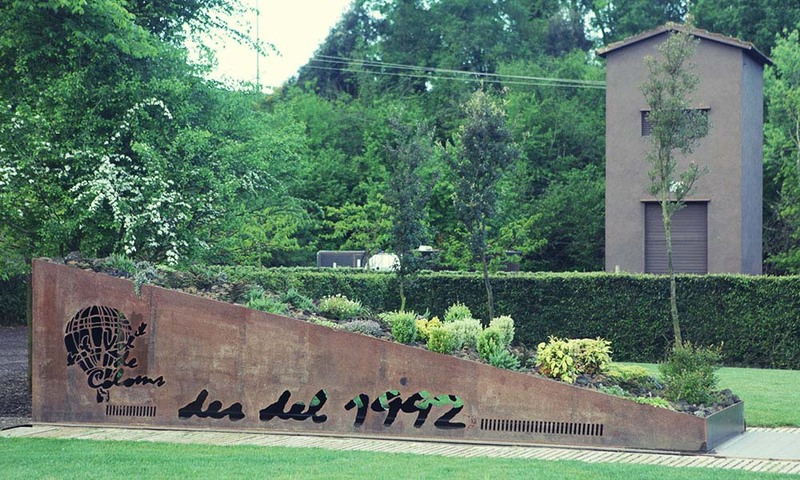 The day began at 7am when we went to the Vol de Coloms launch site. 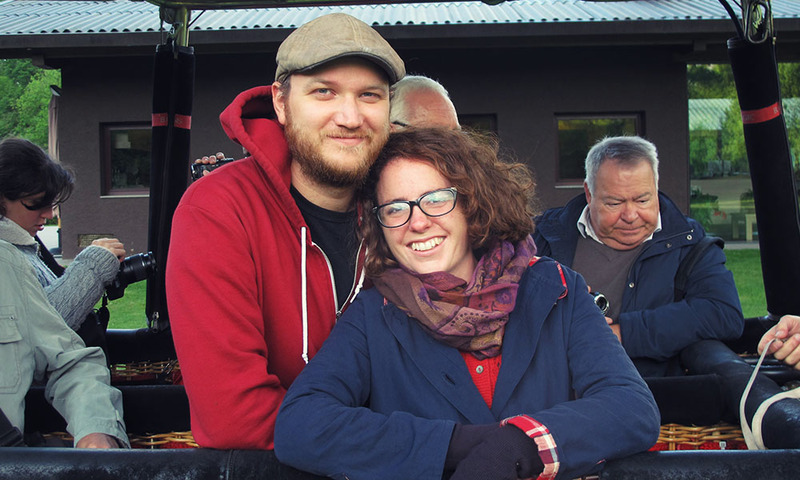 We drank coffee while watching the balloon come to life. The weather forecast had been uncertain so we were delighted to see that the conditions were in our favour. I got my act together, let excitement take precedence, and clambered inside…. …and we weren’t even off the ground yet. …and we were off! 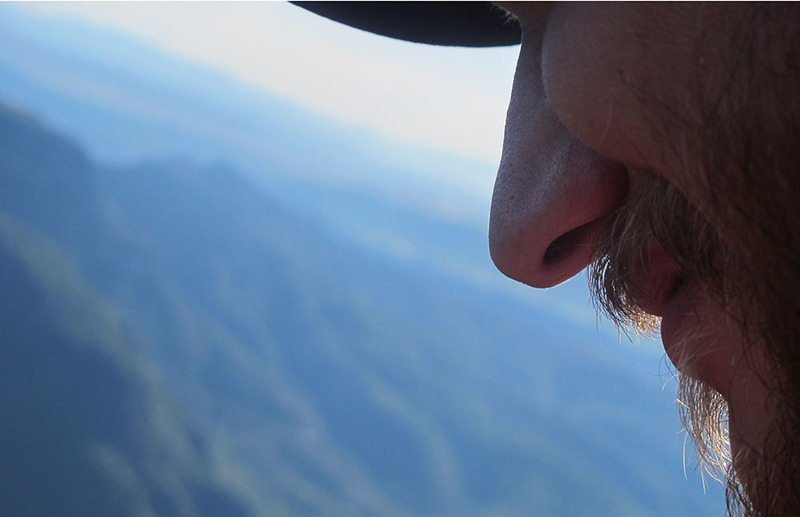 All fear subsided and exhilaration and awe set in. How could it not with such stunning views? 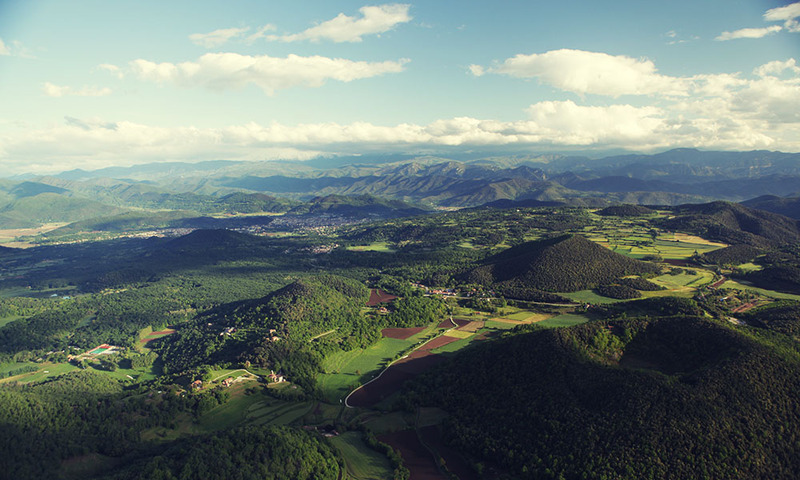 The landscape of Garrotxa and the surrounding area is an incredible mass of wooden mountains, valleys and volcanoes, with the sea visible in the distance. 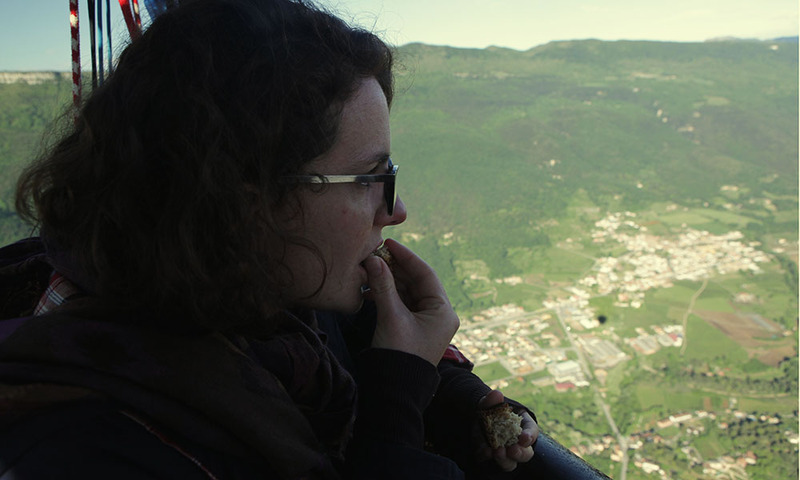 We even flew over a dormant volcano with a little church perched in the centre. It isn’t working today but you can hike there to take a peek inside. 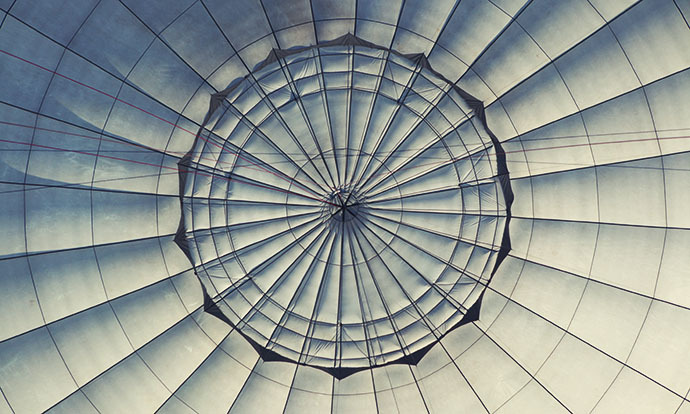 Floating in the balloon is sublime. 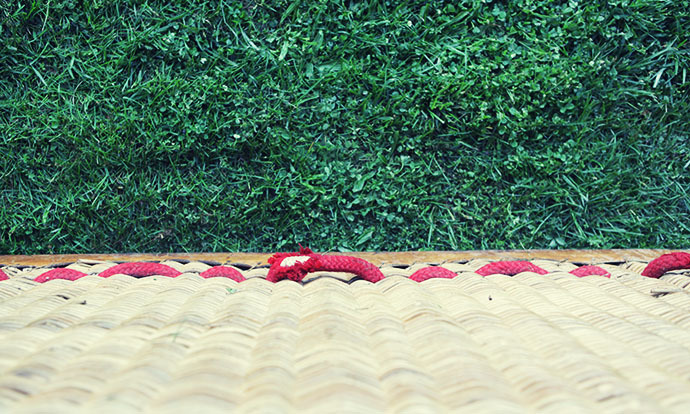 In-between the roar of flames, the basket glides smoothly through the sky in perfect silence. It’s the perfect condition for some earth gazing and a mini overview effect. I was amazed by how much control the pilot had over the balloon. We went from around 1,200 feet at one minute, to lightly skimming the trees the next. I felt like I was in a BBC documentary, smoothly zooming in and out of the landscape. 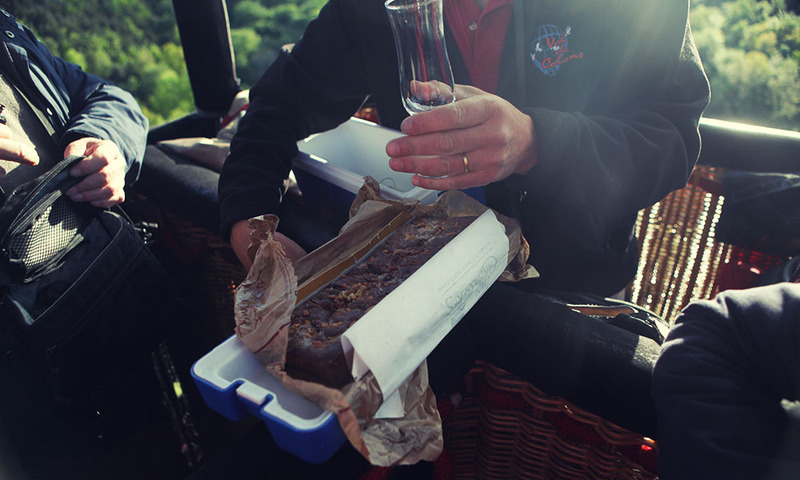 Just when things couldn’t get any better, the pilot produced some cava and cake. …and cake in the sky. I was in bliss. Capturing our shadow made for many fun photos, until it was time to land. We’d been flying for over an hour. Our pilot originally chose the field above, but at the last minute decided upon a cycle path instead. Flanked by a road and a ravine, I was a little nervous but needn’t have been seeing as we landed with barely a jolt. …and waited for the balloon to deflate. Another pilot from Vol de Coloms had been following us in a van, and shortly arrived to help pack up. 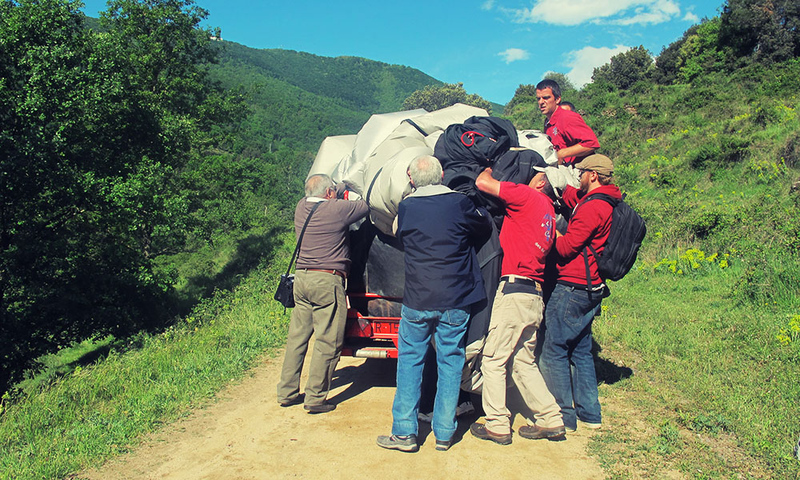 A group effort ensued and we rolled up the massive silk, magically fitting it back in its tiny box. High off adrenaline and awe, we journeyed back to the Vol de Coloms camp where a Catalan feast had been laid out including cheeses, omelettes, bread and salad (and of course hams for the meat eaters). 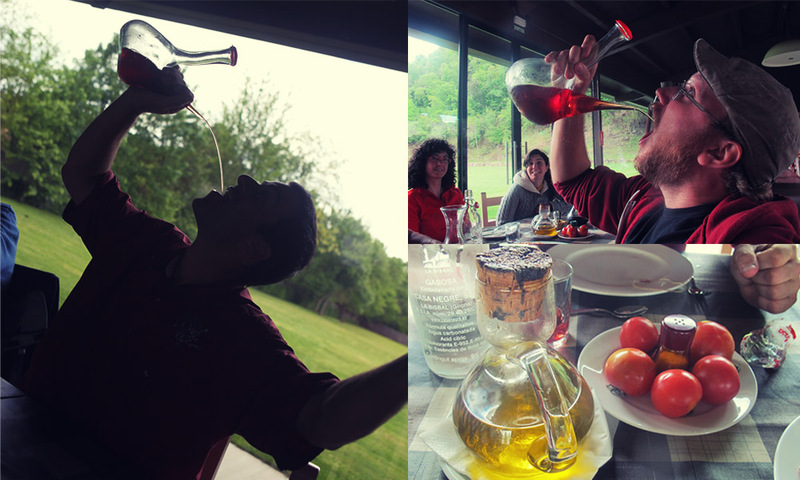 We were shown how to make proper pan catalan (bread with garlic, oil and tomatoes), and tried our hand at drinking from a spout. It was a wonderfully sociable way to end an awesome experience. We were even given a certificate to commemorate our day. And it was certainly a day worth commemorating. 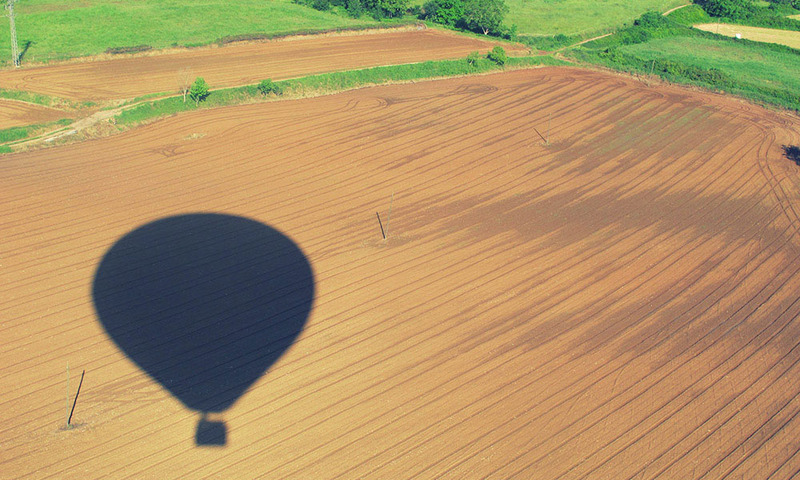 The landscape, the views, the treats, the wonder of flying beneath a balloon – it has to be one of the most peaceful and romantic ways to travel. If you get a chance to experience it, don’t miss it. It’s one of the most beautiful things we’ve ever done. 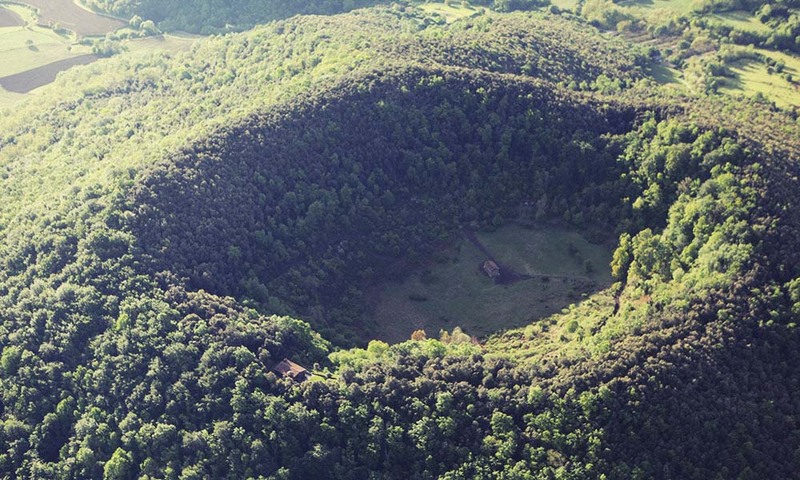 Vol de Coloms is in Santa Pau, Garrotxa, Catalonia, about an hour and a half drive from Barcelona. We drove there in a hire car and stayed the night before in the incredible Mas Can Battle. It makes a gorgeous brak away from the city, and it’s amazing how much the landscape changes within the hour. 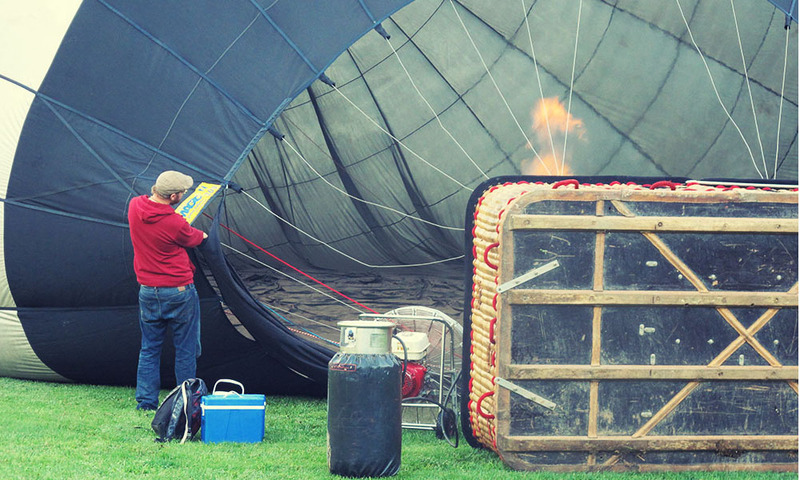 The balloon ride lasts around an hour and a half and is suitable for all ages and abilities including those in wheelchairs. There were about 10 people in our balloon but you can arrange to go just as two. 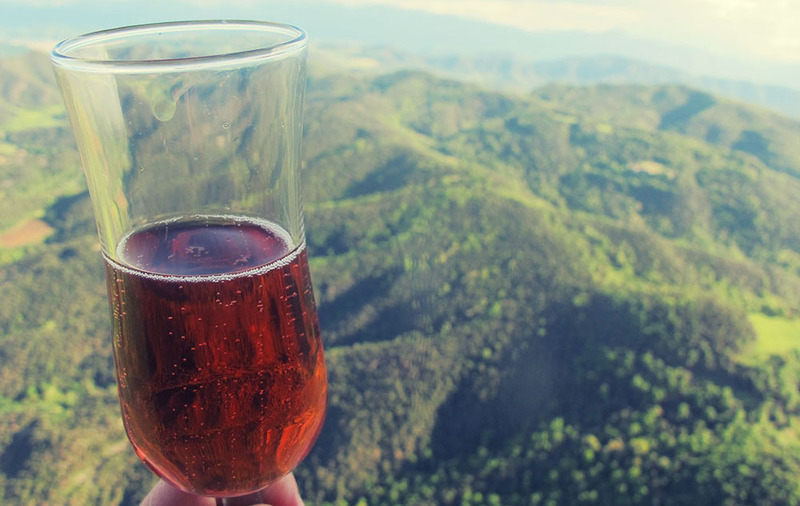 A flight costs 170€ and includes cava, cake and a full meal with wine afterwards, as well as a certificate. 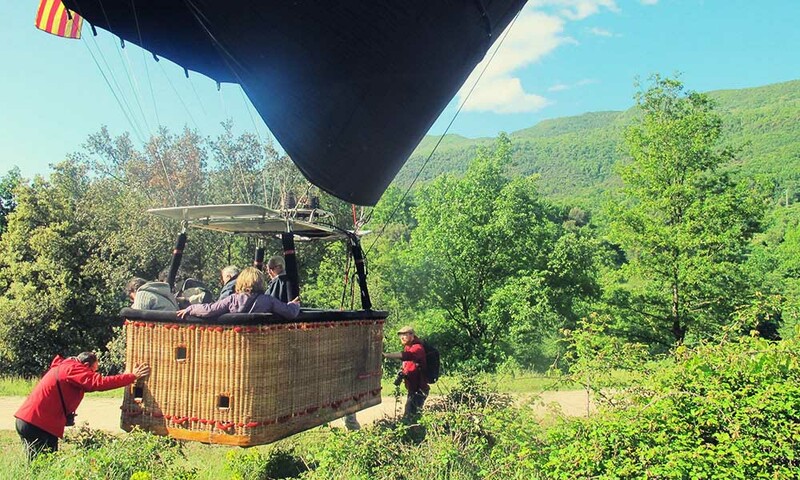 There are lots of excellent hikes in the area so it would be nice to combine a ballon ride with some exploration of the surrounding countryside and historic towns (such as Olot, Santa Pau and Besalu). If you’re visiting Barcelona too, have a look at our list of things to do in Barcelona, and places to eat, drink and go out in the city. 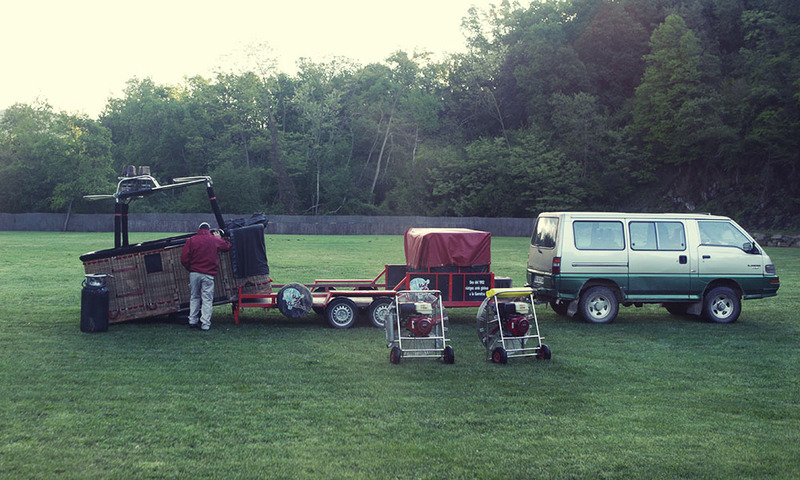 Many thanks to Vol de Coloms for inviting us to take the balloon ride. It was spectacular. I went in Australia over the Outback and it was incredible! What AMAZING shots!!! Just gorgeous! Love the certificate they gave you in the end. Stunning photos guys, I really love them! The experience of the hot hair balloon is very tempting even though I am scared of heights.. will see. I love the fact that you were there from the very beginning (watching the balloon been inflated) till the end. That was one of our favourite parts too. We didn’t know that would be the case until we got there and it was a wonderful surprise. 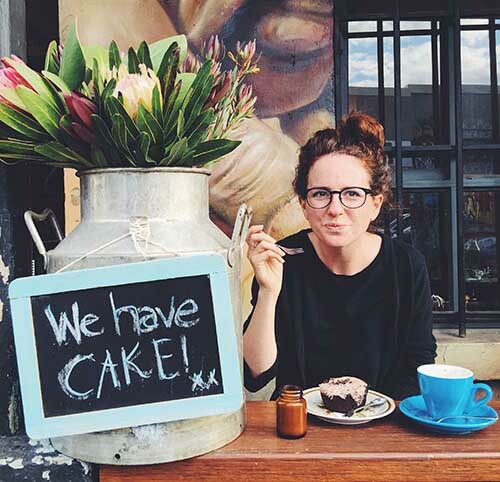 You had me at cava and cake! This looks positively dreamy. Beautiful photos, as always. I love the way you told the story through them. Thanks Hannah. See you soon! Do! We can’t recommend it enough! Beautiful photos! 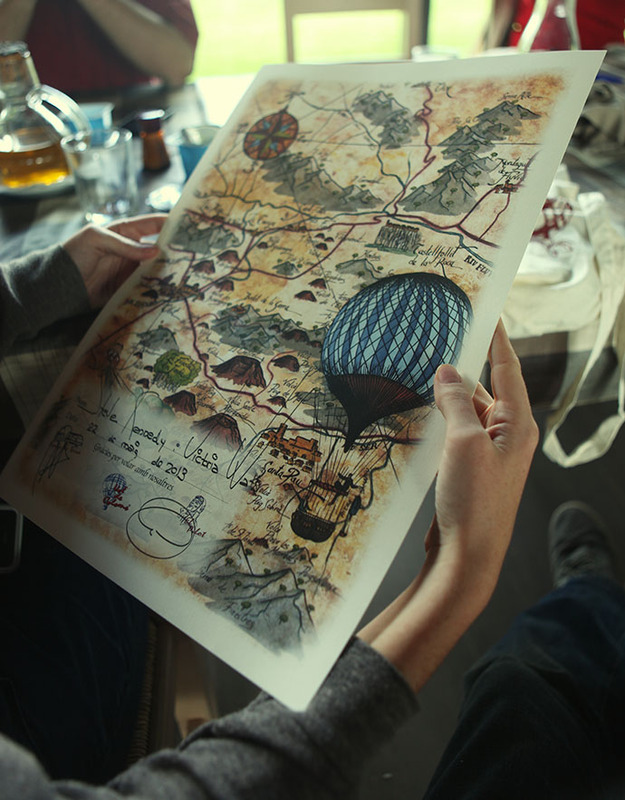 I would love to take a hot air balloon ride sometime. Hopefully you’ll get to Spain one day and can try this one! Cava, cake and a balloon ride, such a perfect day. It really was a perfect day! Wow, those views were absolutely amazing!!! Beautiful photographs, and awesome experience. I’ve always been a bit scared to go up in one of those, but I think I might have to try it after seeing this! You really should. It was so incredibly peaceful. I stopped being scared as soon as we took off and I realised how gentle it was. I think pink bubbles in the air just tipped the experience into perfection! Thank you Toni. The pink bubbles definitely made the experience sky rocket for me! I have never been on an hot air balloon before, would love to go on it though. Nice photos. I ope you get to try it sometime. This looks incredible! 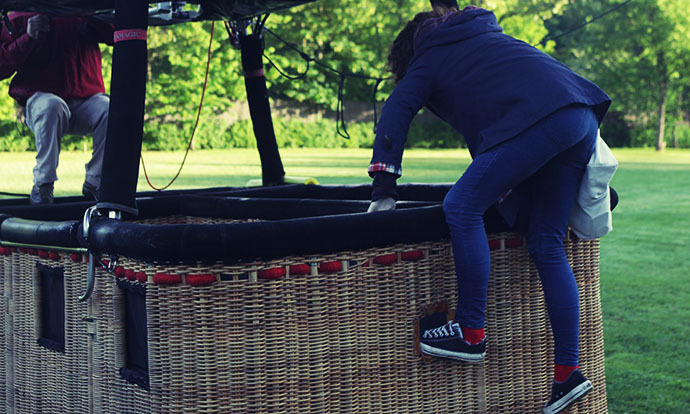 I’m not surprised you were nervous about getting in a flying basket, when you put it like that it sounds terrifying but obviously well worth it. These photos are beautiful. this looks like the best time! indeed! We’d really like to try flying elsewhere in the world too. 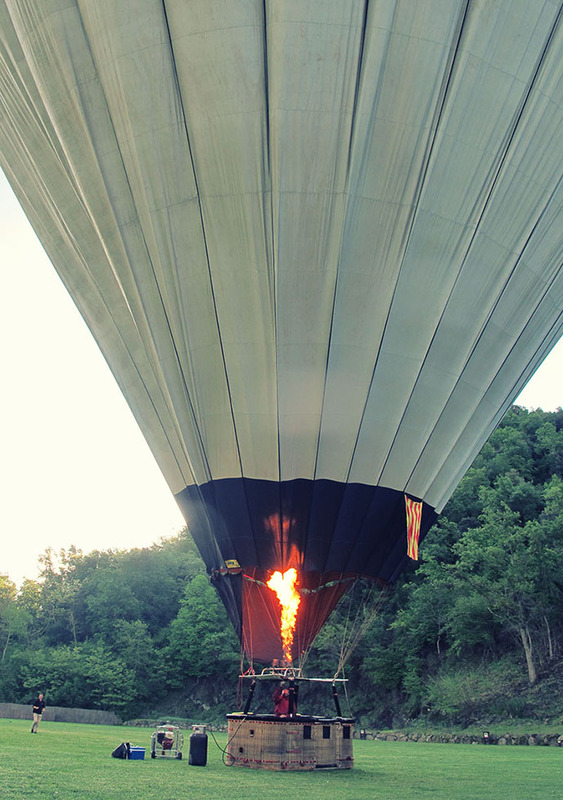 taking a hot air balloon ride is definitely on my bucket list! 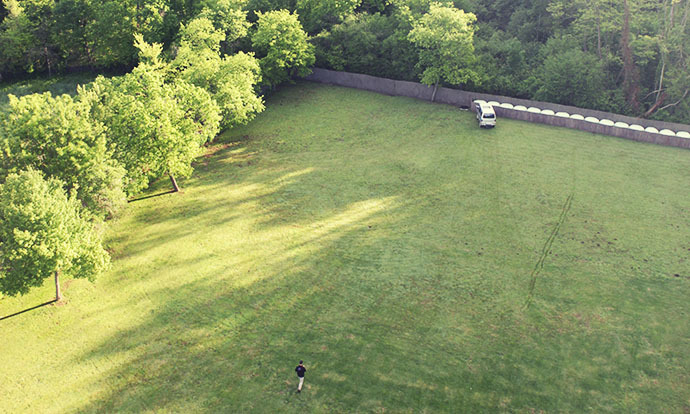 Beautiful photos – I love the one of the shadow of the balloon. 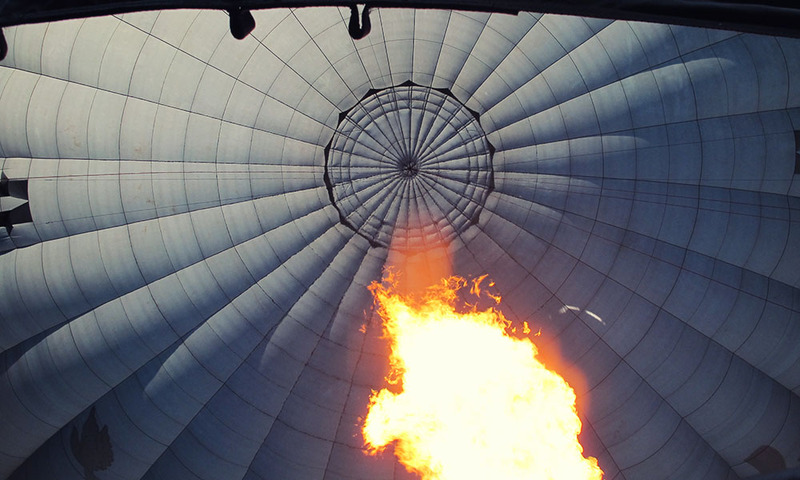 I love the idea of floating in a hot air balloon, but the reality? I’m not so sure about that. I think you may have changed my mind, though. It just seems so dreamy. Now I really want to head to Barcelona! It wasn’t originally on the list, but it so is now! This looks just amazing. It did! I hope you get to experience it too someday! What an amazing post!! 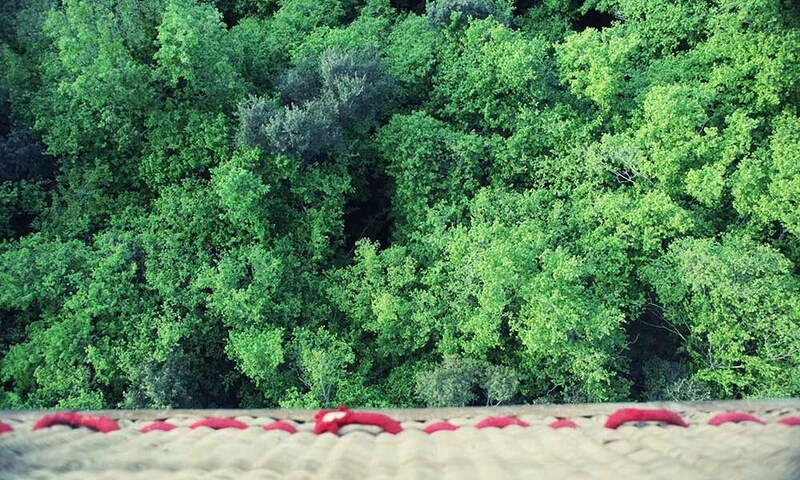 Going on a hot air balloon is high up there on my bucket list! I’m thinking when my girlfriend and I are in Barcelona, we will be taking the trek to Santa Pau!! Thanks for the inspiration! Great! It really is a wonderful experience. I also can’t recommend Mas Cam Batlle enough. I’ll be posting on it later this week, and it’s one of the best places we’ve ever stayed at. Have a great time! Amazing. Such a nice experience you shared with us. I have seen this type of experience. It is always adventurous.